For ecommerce brands, content is an increasingly powerful part of the marketing mix – and blogging is a key ingredient. Why? Because in a world where customers are bombarded with 15-second ads every two seconds, a well-told story will always stand the test of time. Sure – blogs and content marketing have been around for a while. But advances in digital, SEO and data analytics have made a whole new category of smart, data-driven storytelling possible. In fact, content marketing has been shown to drive three times more leads per dollar spent compared to paid search advertising. There’s no point in spending all your efforts trying to convert customers if customers can’t find your business. High quality, regular blogging takes your SEO game to the next level. Content marketing has been shown to generate over three times as many leads as outbound marketing – and costs 62% less. Blog articles contain highly relevant keywords that drive organic traffic, improve your search engine rankings and, ultimately, boost conversion rates. According to Hubspot, businesses with 401 – 1,000 pages of content get six times more leads than those with 51 – 100 pages. Multiple blog pages mean more links – both internal and external – driving users to your home or product pages. In addition, the more links you can generate back to your site, the higher you’ll rank in search engines – and when your content is linked to from another site or shared on social media, your page rankings improve further. Speaking of social – it can be difficult to maintain an active social media presence without a regular source of original, high quality content. Blog posts solve that challenge by providing ‘snackable’ social content, while also providing content for other initiatives like email newsletters, sales support materials, events and discussion forums. Keeping a regular blog also serves to alert search engines like Google that your site is active. This is incredibly important since search engines keep tabs on whether a site is alive and well by checking for recent updates and working links. Keeping your content relevant and fresh will ensure search engines continue to reward your site by ranking it favourably in search results. Blogging gives you the unique opportunity to express your brand story, voice, and personality. More than that, it helps to build trust with your audience and increases your brand’s likeability – an invaluable advantage in a market as busy and crowded as ecommerce. In fact, a recent global study of nearly 2,000 B2C marketers showed that 79% have used content marketing to successfully build brand awareness. Whether it’s an inspiring customer story showcasing your service, a feature on the people, skills, and quality behind your products, or a timely response to a recent news topic, being able to increase brand awareness and shape your story is truly valuable. Telling your story helps to humanise your brand, giving you a way to discuss topics that are of interest to your target market while also sharing what you, your employees, and your partners are passionate about. Listing your product’s best features will only get you so far. Good stories are the key to engaging emotion. As Taylor Swift says, “the writing I love the most places you into the story.” Giving customers a glimpse into your brand’s story invites them to connect it to their own story. As the saying goes, write what you know – and blogging is the perfect platform to show off what you know and position your brand as a key thought leader in your industry. From lending advice and voicing opinions, to discussing the latest news and research, blogging gives your brand an added level of expertise and relevancy in the market – not to mention strong organic backlinks. Engaging, high quality blogs can attract positive attention from the news media, influencers, or potential partners outside of your industry, thereby opening up a world of new possibilities and growth. Today’s digitally empowered customers have more choice than ever, and they’re steering away from advertising that feels forced, tacky or tone-deaf. Instead, they’re attracted to authenticity, personalisation and transparency – plus a strong dose of personality. As you build up authority in your chosen category, your audience will increasingly associate your brand with trust and familiarity, keeping you top-of-mind when it comes time to purchase. As Joe Sugarman highlights in his book ‘Advertising Secrets of the Written Word’, people make purchase decisions with emotion and justify with logic. Ecommerce blogging allows you to tap into the best of both worlds. A well-thought-out blog can show you understand your customer and empathise with their problems, while at the same time demonstrating how your product or service is the logical solution. As digital technology drives hyper-personalised marketing and customer service, your target market is unlikely to spend time on a brand that doesn’t understand them. Research shows that 67% of B2C marketers have successfully built credibility and trust through content. From think pieces to how-to Google-featured snippets, blogging gives your brand the chance to connect with your audience through a two-way conversation that builds crucial rapport and trust. Ecommerce blogging helps to establish and nurture a growing online community. The more you blog, the more conversation, engagement, and leads you will generate. From comments, reviews, and recommendations, to form submissions, email opt-ins and quote requests – fostering an active, participatory community is a sure-fire way to generate sales and growth. As you build an online community, your readers will begin to seek your brand out for the latest advice, tips, inspiration and news – not just from you, but from fellow customers following your brand. Customers are far more willing to return to a store they feel a sense of connection and belonging with – and your blog can become that go-to place. 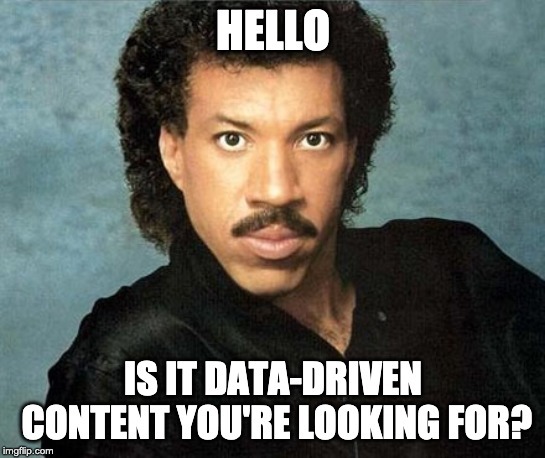 Interested In Meaningful, Data-Led Content Marketing? Switched-on marketers understand that content strategies are about more than mass-producing content simply for the sake of it. As with any strategy, you want to add value for your customer, not add to the noise. A data-driven approach will give you that value and cut-through – helping you to create targeted, insightful, effective content that engages and retains customers while raising awareness and generating new leads. If you’re looking to enhance your brand’s content marketing and SEO strategy, get in touch with us today! Our team of Sydney-based marketers can help you identify the best areas of opportunity to grow and scale your digital footprint through meaningful, data-led storytelling. To assist the masses with clarifying which update did what - and how you can leverage each of them - we've put together a cheat sheet for you.